NOTE: Coinpalace.io is now closed, so please try our top recommended casino for the best Bitcoin bonuses. When it comes to having friends in high places, Coinpalace.io isn’t short of company. As well as being operated by Century Mobile Ltd and certified as fair by iTech Labs since 2014, the site is licensed and regulated by Antillephone N.V. In short, if you’re looking for an online bitcoin casino with enough credentials to sink a ship, then you’d better get your lifejacket ready because Coin Palace could bring down the Titanic (again). Of course, a ton of certificates and legal ticks in the right boxes is great from a safety perspective, but any bitcoin casino worth its salt must have the games to back-up its regulatory grunt. Helping to ensure Coin Palace is pumping out world class gaming action is the software powerhouse that is SoftSwiss. On top of this high quality backbone you’ll also find a wealth of third-party software providers such as NetEnt, Betsoft, Ezugi and more. Naturally, us reeling off a few names and some legal credentials isn’t going to be enough to push you towards the sign-up. No, if you’re even halfway to become a seasoned bitcoin bettor, you’ll want a bit more information before you make a decision and ante-up. Fortunately, as ever, we’re here to pick out some of the site’s highlights (and a couple of things that could be better), to ensure you know exactly what you’re getting when you register your first account at Coin Palace. When it comes to aesthetics, the design guys at Coin Palace have made two interesting decisions. The first is to add a “cartoon vibe” to the site. What we mean by this is that you’ll find banners showing various cartoon characters and the overall look of the site is one that suggests you shouldn’t take things too seriously. Naturally, in an industry where fun is the main priority (although profit is a close second), this type of styling is perfect and, moreover, something that adds to the appeal of Coin Palace. The second interesting feature you’ll be able to use when you login to the site is the light switch. Instead of forcing players to stick with the orange and black colour scheme (i.e. the night look), the developers have added a switch to the top right of the page. Clicking this into “day” mode (noted by the sun icon) will effectively turn on the lights and change the black to white. Although this is a subtle touch, it’s something you don’t find at many other sites and it does help to improve the overall view of the site depending on your personal preferences. In terms of layout, Coin Palace has a lot of positives but also a negative we need to point out. To ensure we end this section on a high, we’ll get the bad thing out of the way first. If we’re honest, the main lobby is a little cluttered. Now, we can forgive the designers for this to some extent because there are a lot of things going on across the site. However, as you’re scrolling down the page in search of a game, you will find boxouts, banners and tables are a constant presence. For some, this won’t be a huge problem. However, if you’re used to bitcoin casinos with a more simplified appearance, Coin Palace might look a little “busy”. Fortunately, this design detail is the only one we’re able to criticise. When it comes to finding the perfect game, Coin Palace uses a fantastic combination of filters (by software developer) and game boxes. What’s also great about the layout of the site is that you get a preview of the top games from each category when you select the “All Games” tab. Instead of displaying every game, the page is broken up into categories and under each heading you’ll see 12 games. Then, if you want to view more, you can hit the “show more games” option and it will reveal more options from that category. Overall, the structure of Coin Palace is ergonomic and efficient. However, if you’re not a fan of clutter, then you might struggle with some elements of the interface. In the previous section we mentioned that some parts of Coin Palace look a little “busy”. Now, the main reason for this is because it has one of the most comprehensive bitcoin bonus schemes in the industry. While most operators seem to put all their efforts into creating a solid welcome bonus, Coin Palace has gone a few steps further to ensure that everyone, included longstanding players, are given something extra for their time online. As you’d expect, all things start with the welcome bonus and, at Coin Palace, you’ll get four opportunities to make some money. At this point it’s worth mentioning that Coin Palace actually gives you the opportunity to receive your bonus in Euros or Bitcoin. Thanks to a deposit system that allows you to fund your account with both currencies, you can choose the way you receive your cash. For those that can’t be bothered to do the math, Coin Palace will give you as much as 5 BTC when you make your first four deposits. 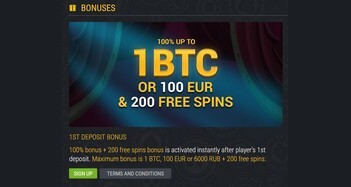 In real terms, this is significantly more than most bitcoin casinos, but what’s most interesting about this deal is that your fourth bonus is as lucrative as the first. 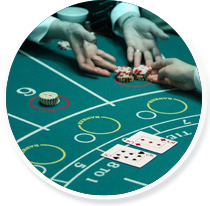 In iGaming circles this is almost unheard (you usually have to do more as you progress), so it’s worth checking out the site for this alone. Beyond the welcome bonuses, Coin Palace promises new bonuses every week and these typically come in the form of a weekend reload bonus and free spins Wednesdays. 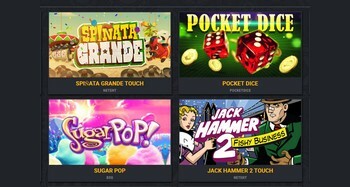 Like the first four deposit bonuses, Coin Palace will give you 50% extra on top of your first deposit over the weekend. In this instance, you can claim up to 0.25 BTC and you’ll have to meet the same playthrough requirements as above to unlock the cash. 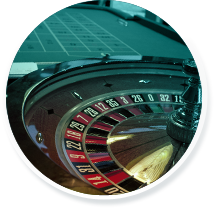 For those of you that want a few spins instead of cash, your first deposit on a Wednesday will earn you 25 free spins. However, the one downside to this deal is that you’ll have to make a deposit in a currency other than bitcoin which is slightly disappointing. This fact aside, the overall value of the Coin Palace bonus system is extremely positive. 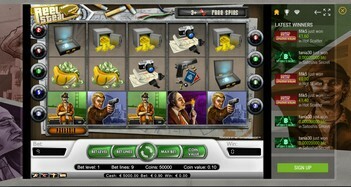 Although Coin Palace allows you to make deposits in different currencies, including Euros, the action at the felt (or reels) takes place in mBTC. This is great news for those of you that really want to immerse yourself in the emerging culture of bitcoin betting. However, it also means that you can’t play for free. While this isn’t the fault of bitcoin itself, the developers appear to have decided that if you’re going to play, it needs to be for real. The most interesting option from the above is the “other games”. These are betting games that don’t fall under the traditional “casino” banner and have a more relaxed feel to them. From Pocket Dice and Heads and Tails to Minesweeper and Virtual Racebook, this section of the site provides an entertaining break from the norm. If you’re keen to get in the action, Coin Palace has a quick sign-up form that literally takes seconds to complete. After entering your email address, desired username and password, you’re in. Once you’ve verified your account, you’ll then have full access to Casinopalace.io’s iTech Labs certified software and, more importantly, a variety of deposit options. As we’ve said, you can choose to fund your account using traditional methods such as Visa or Skrill. However, the safest and most secure option is bitcoin. Using Cubits as its preferred wallet provider, Coin Palace allows you to send money directly to your account using the onsite QR code or the following address: 35w5xW7U6mMug1WhhKvwY2r8DGWx6KH3zr. Providing you meet the 0.05 BTC minimum deposit, Coin Palace will process your transactions almost instantly which means you can get into the action without delay. If you’re looking for a bitcoin casino that’s well-stocked, well-secured and backed by a wealth of big name players, Coin Palace is the place for you. As long as you’re comfortable with an interface that can look a little cluttered and you’re not interested in playing on practice tables, this site has some of the best bonuses, features and games you’ll find. Yes, newbies might not find Coin Palace as lucrative as seasoned grinders, but that shouldn’t stop you from completing the 10-second sign-up process and checking it out for yourself.